Prior to placing your house on the market, consider a surefire way to sell your house: professional home staging. 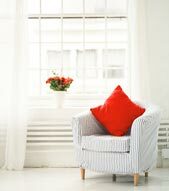 Some positive aspects of home staging include fewer days on the market and higher offers. If your goal is to sell your house quickly, go for a well-planned home staging strategy. Home staging is part of preparing your home for sale. Staging centers on on your home's presentation to buyers and buyers' agents while highlighting the characteristics of your home with thoughtfully placed furniture and decorations so that your home looks as if it's bigger and buyers can imagine their lives in your home. Empty houses are held more days on the market. As a top-producing agent in Orlando, I can give you home staging tips so that your home sells as quickly as possible. Preparing your home for an Open House doesn't have to be a problem. It can actually be enjoyable. Together, we'll work to get a premium offer for your place. Using our home staging tips will get your home sold faster in Orlando, Florida than deciding not to stage. Homevest Realty David Woolford Team can help you create a welcoming feeling that makes buyers to want to stay  permanently. Give us a call at 407-897-5400 and we will stage your house to sell. Curb appeal is your best chance to create a strong first impression on buyers before they step foot into your home. The good and bad features that jump out at buyers create their first thoughts about your home and how you keep up your house's regular maintenance. Understanding this helps us to choose what measures we can take to draw buyers from the street and into your house. If your home isn't attractive on the outside with refreshed paint and blooming greenery we'll need to address those issues. Follow the Curb Appeal Checklist and raise your house's final selling price. Can buyers see themselves enjoying game night in your living space, relaxing in your reading nook or getting work done in your home office? We want your Open House to pleasantly accept buyers and give them a sense of comfort. I'll help you achieve this by recommending small improvements that highlight the features of your property. I'll advise you put out of sight items that give the impression of clutter. Table and counter tops should be cleared off. Brick-a-brack, sentimental items, family photos, and refrigerator works of art should get stored away too. We need to "generalize" the house so buyers can picture it as their new place. Every room gets a once-over. I'll point out the pieces of furniture that should be removed, rooms that need new paint, carpet needing to get changed, fixtures that need polishing, and any other improvement that can easily be made to positively influence the sale. With me by your side, you'll know that your home has mass appeal and that it's friendly, steering clear of "offensive" or "can't-work-with" shades on the walls and furniture. And if none of your belongings are there, you can try temporary furniture. You want your home to look ready to live in as opposed to vacated. During your Open House, we want to engage the buyer's senses. 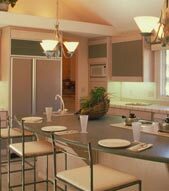 Brightness is critical and we'll draw back curtains, and add lighting where needed to show off your place. We'll enhance the ambiance with enjoyable music to listen to while guests look around your home and ensure a pleasant fragrance circulates from every area. We'll add cozy-looking bedspreads, and pillows on your loveseat and bedding. We want buyers to feel like your place is their future home.